I read one contemporary novel for every eight or ten historic fiction books I read. As most of you know or at least may have figured out based on the title of my blog (History, Mystery & Faith) I'm a history geek. I love to research, write, and read about the past, especially the World War II era. 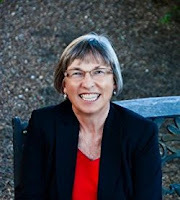 But as a member of the CelebrateLit blogging team, I periodically chose to try a new author or review a book about a contemporary book with a plot line or topic that intrigues me. 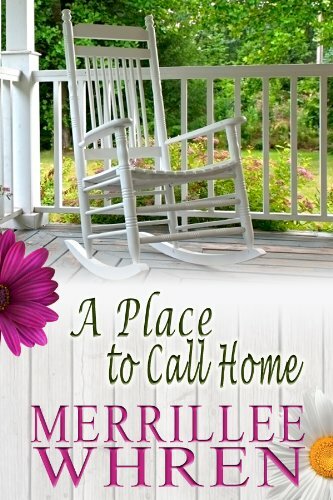 A Place to Call Home is the first book by Merrillee Whren I have read, and it won’t be the last. The protagonists Kurt Jansen and Molly Finnerty are complex and realistic characters that I really liked and related to. I enjoyed the fact that Kurt’s and Molly’s pasts are handled differently in the book. The premise of the story is that Kurt is imprisoned for a crime he didn’t commit. Molly also has secrets that are fed to the reader bit by bit, and often in response to something that has happened to Kurt. The story hooked me immediately, and was well-researched. Other than a few repetitive words (lots of wry smiles), the writing flows well and the dialogue is natural. Kurt’s kids are precocious without being obnoxious, and the minor characters are sufficiently developed. The mystery is mostly solved off stage and gives a satisfactory ending to the story. Hiring a convicted wife-killer isn't what kind-hearted Molly Finnerty bargains for as part of the prison ministry she supports. However, she begins to believe Kurt's claim of innocence and gradually finds a great deal to like about him-perhaps more to like than she should.